What a blessed man St. Joseph was. He was called to be the earthly father of the Son of God and the husband of the Mother of God! He must have been in awe of this responsibility and he must have, at times, trembled with a holy fear in the face of so great a calling. What’s interesting to note, however, is that the beginning of this call seemed to be marked with an apparent scandal. Mary was pregnant and it was not from Joseph. How could this be? The only earthly explanation was infidelity on Mary’s part. But this was so contrary to whom Joseph perceived her to be. He certainly would have been quite shocked and quite confused as he faced this apparent dilemma. What should he do? One aspect of this situation to ponder is the fact that Joseph had to embrace his wife and her Son in faith. This new family of his was beyond human reason alone. There was no way to make sense of it simply by trying to figure it out. He had to approach it with faith. Faith means he had to rely upon the voice of God speaking to him in his conscience. Yes, he relied on what the angel spoke to him in the dream, but that was a dream! People can have all sorts of strange dreams! His human tendency would be to question this dream and wonder if this was real. Was this really from God? Is this Child truly from the Holy Spirit? How could this be? 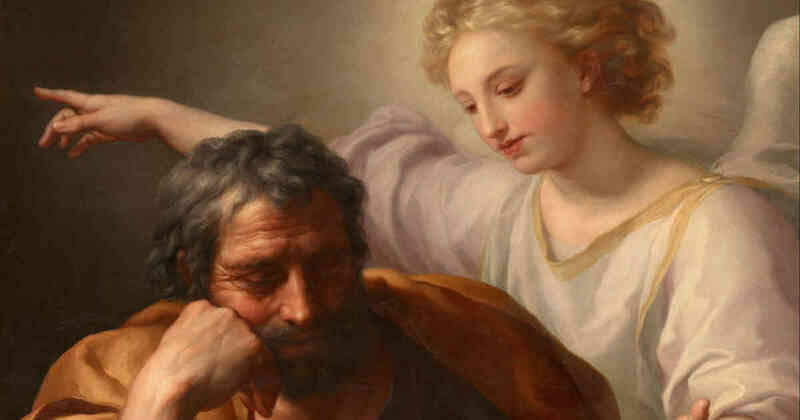 All of these questions, and every other question that would have arisen in St. Joseph’s mind, could only be answered by faith. But the good news is that faith does give answers. Faith enables a person to face the confusions of life with strength, conviction and certitude. Faith opens up the door to peace in the midst of uncertainty. It eliminates fear and replaces it with the joy of knowing you are following God’s will. Faith works and faith is what we all need in life to survive. Reflect, today, upon the depth of your faith in the face of apparent difficulties. If you feel God calling you to enter into some challenge in your life right now, follow the example of St. Joseph. Let God say to you, “Do not be afraid!” He spoke this to St. Joseph and He speaks it to you. God’s ways are far above our ways, His thoughts far above our thoughts, His wisdom far above our wisdom. God had a perfect plan for St. Joseph’s life, and He does for you too. Walk by faith each and every day and you will see that glorious plan unfold. Lord, enable me to walk by faith each and every day. Allow my mind to rise above human wisdom alone and to see Your divine plan in all things. 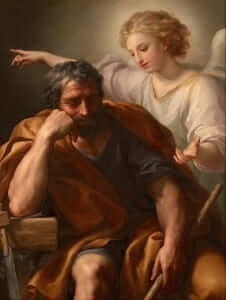 St. Joseph, pray for me that I may imitate the faith you lived in your own life. St. Joseph, pray for us. Jesus, I trust in You!